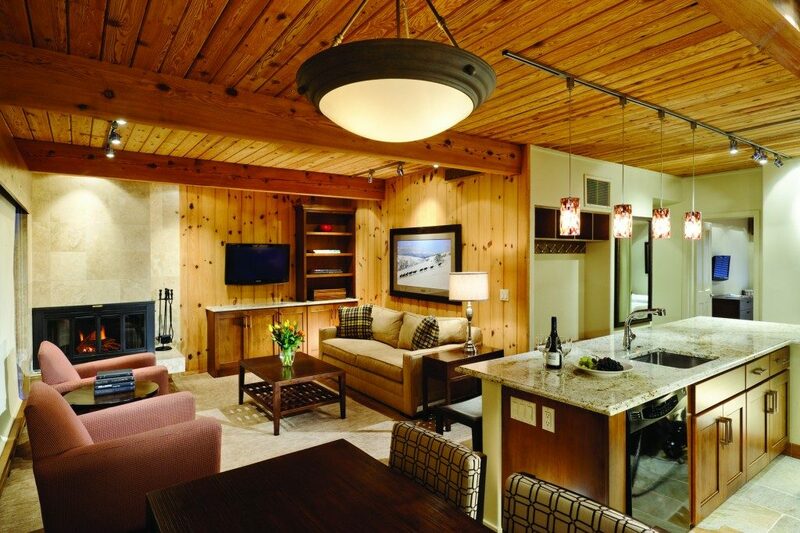 The Aspen Square Hotel promises to deliver thrills both in town and on the slopes. Famous slopes bring groups to Aspen Square but it’s the downtown delights will win them over. Not surprisingly, most visitors who make the journey to Aspen, Colorado are there for the skiing. With a variety of breathtaking summits, near-perfect snow and a seemingly endless season, Aspen is the stuff that ski dreams are made of. However, this city has much more to offer than its world-renowned slopes, and the Aspen Square Hotel is proof to that. 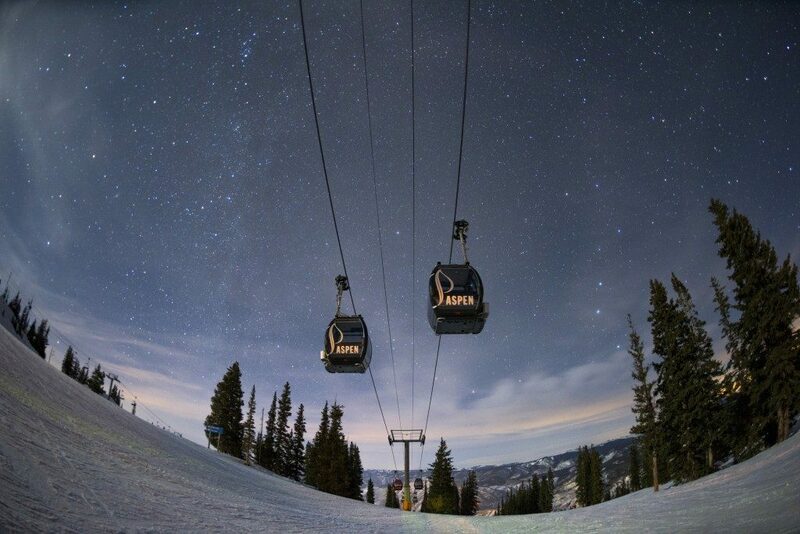 Located snuggly between the base of Aspen Mountain and the city that gives it its name, Aspen Square offers skiers an inviting mixture of mountain views and downtown delights, providing them with unusually easy access to both. While skiing might be the main reason for your visit, Aspen Square is excited to show your group just how much there is to this sparkling city aside from the snowy mountainsides that have made it famous. Aspen Square offers a mix of fireplace studios and larger condos, guaranteeing that your group will find the perfect assortment of rooms to fit its needs. 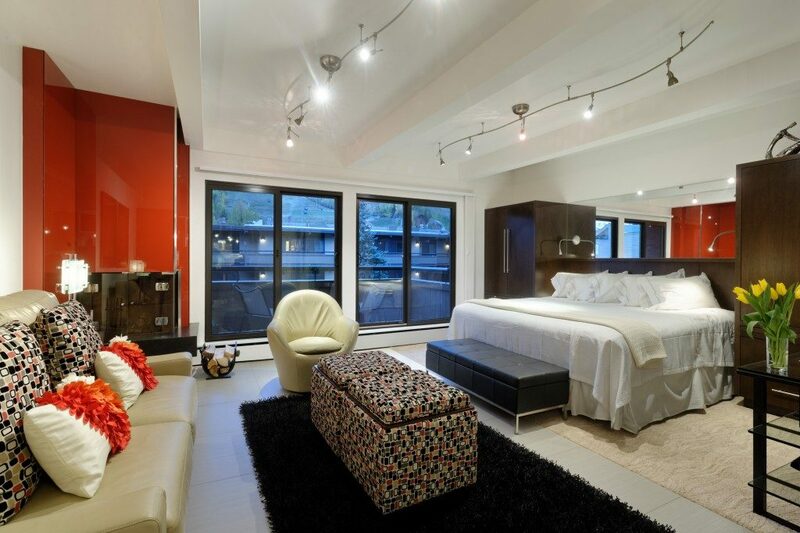 Fireplace Studio: This luxurious option offers the benefits of the two bed/two bath in a cozier setting, providing guests with a deluxe king bed, a full kitchen, private balcony and Aspen Square’s best views. The fireplace studios can house two to four guests. One Bedroom/One Bathroom: These suites house two to four guests and feature a king bed plus queen-sized sofa bed and separate living/dining room area, plus full kitchen and private balcony. Two Bedroom/Two Bathroom: This option ups the ante by offering all the perks of the smaller condos, but also throwing in views of Aspen Mountain, a full kitchen, two full baths, a private balcony, a wood-burning fireplace, ski locker and multiple flat-screen TVS. In addition to providing guests with a variety of handsome rooms, Aspen Square offers a state-of-the-art exercise facility, a heated pool, two hot tubs, conference room, concierge service, a sunny courtyard and complimentary parking and Wi-Fi. 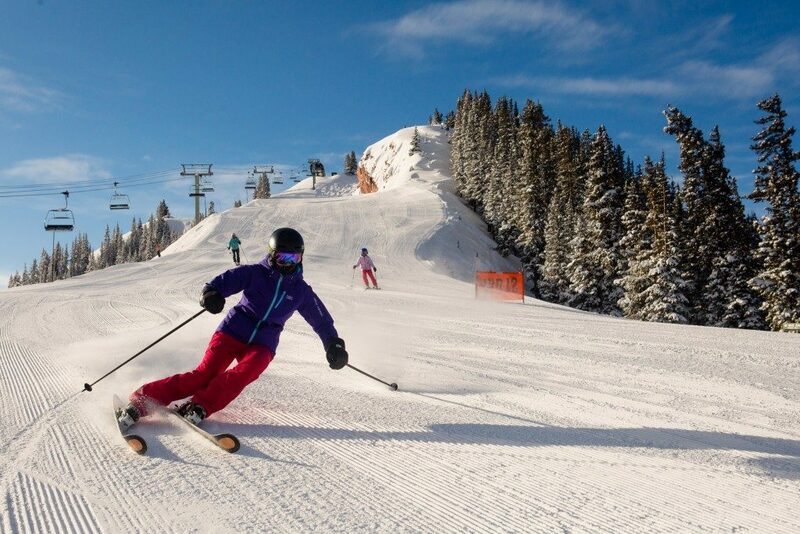 Ready to take a break from your skis and see what else Aspen has to offer? Be sure to check out a few of the following options. Shop, Shop, Shop: It might come as a surprise, but Aspen is actually a shopping hub. The snowy city is home to high-end boutiques, local craftsmen and world-famous designers, all of which are within easy walking distance of Aspen Square. Stock up on designer names like Gucci, Prada and Ralph Lauren, or spend a few hours browsing through art galleries and specialty stores. Stay Outside: Just because you’re taking a break from the slopes doesn’t mean your group has to head inside. Aspen allows for almost any outdoor adventure you can think of: sledding, biking, fishing, sleigh rides, cross country skiing and hiking, the list goes on and on, and the concierge team at Aspen Square will help your group find the perfect excursion. Grab a Bite: Even the most avid skiers have to stop and get some grub every now and then. Stroll a few blocks and you can find almost every cuisine imaginable (don’t believe us? Check this out: http://www.aspensquarehotel.com/aspen/restaurants) or head over to one of Aspen Square’s sister mountains, Snowmass, and enjoy a snowcat dinner at the Lynn Britt Cabin with your head in the clouds. How Does Aspen Square Help Groups? Aspen Square is more than ready to accommodate small to medium-sized groups, and can provide a range of discounted booking rates depending on how many people are on your trip. Aspen Square also has a top-notch concierge team that can help arrange lift ticket purchases, equipment rentals, group meals, lessons and activities – all before you set foot in the hotel. Of course, once you’ve arrived, the team can also assist with any in-house needs or issues that might arise. Hurtling down mountains, exploring the Rockies, shopping around town, enjoying exquisite restaurants – all of these adventures and more await your group when staying at Aspen Square Hotel.